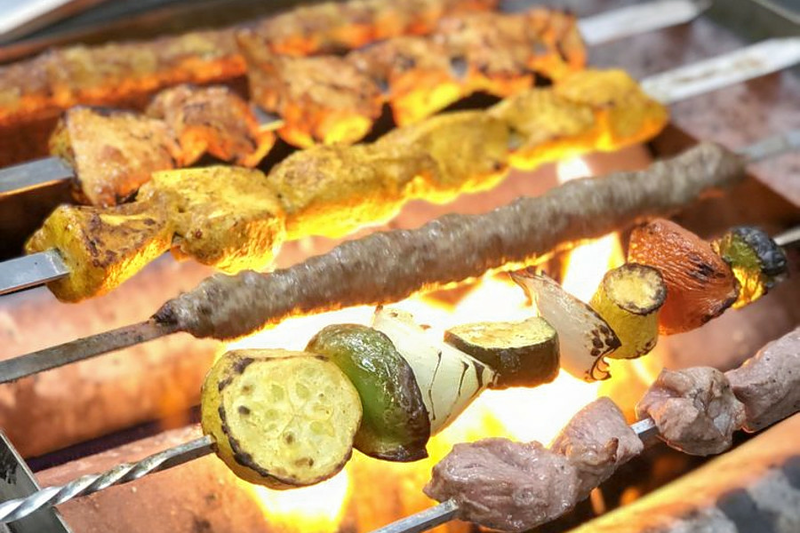 A new eatery that specializes in flame-grilled kebabs has opened its doors in Cary. The new arrival, called Kebab Skewer, is located at 6446 Tryon Road in the Wellington Park Shopping Center. The restaurant offers a simple menu, segmented into salads, side orders, kebab skewers, meat platters, sandwiches and beverages. Treats like baklava and the dessert of the day are also available. With a five-star rating out of 10 reviews on Yelp so far, Kebab Skewer is on its way to developing a local fan base. Sally A., who was among the first Yelpers to review the new spot on Sept. 3, wrote, "I have tried almost everything on the menu and have yet to be disappointed. The chicken and beef koobideh are my favorites, the meat is so tender and flavorful. The shish tawok is another family favorite. The chicken is super juicy and tender." Yelper Brooke T. added, "I got the chicken kebab platter and it was excellent! Spices were perfect, and the quantity of food was good for the price. Everything was very fresh and cooked exactly as I requested."